Mozilla’s Test Pilot program for Firefox has long been the organization’s way to trial some of its more experimental ideas for new browser features. Now it’s expanding this program to include mobile apps, too, with the launch Firefox Lockbox, of a password manager for iOS and Notes by Firefox, a note-taking app for Android. Both apps have a connection to Firefox (hence their names), but we’re not talking about Firefox plugins here. These are standalone apps that sync with Firefox on the desktop and mobile and share its branding. Lockbox gives you access to passwords you’ve saved in Firefox and then lets you use them in their respective apps (think Twitter or Instagram). To unlock the app, you can use Face ID or your fingerprint. If you’re not a Firefox user, you probably won’t get a lot of value out of Lockbox, but if you are, then this now allows you to use Firefox’s native password manager instead of a third-party app. That’s a smart move by Mozilla, which doesn’t necessarily have a lot of market share for its browser on iOS but still wants to keep iOS users involved in its ecosystem. Notes by Firefox does exactly what you think it does. 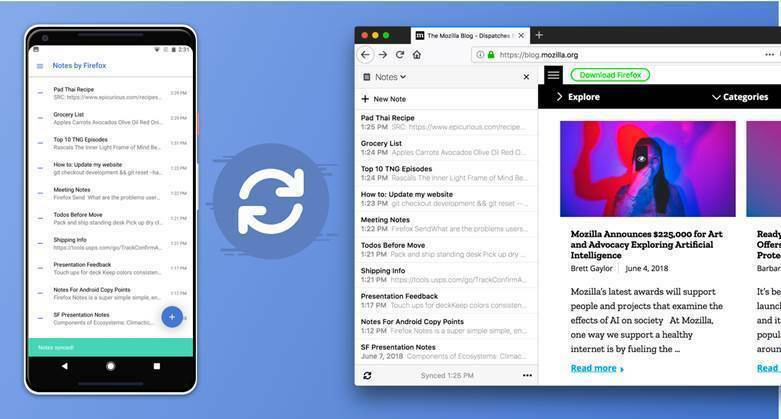 It’s a note-taking app for Android that stores your encrypted notes and syncs them between your phone and the browser. If this sounds a bit familiar, that’s probably because the Notes browser plugin itself is a Test Pilot experiment that launched back in 2017. Now Mozilla is complementing it with a mobile app. Notes in the browser offers all the basic note-taking features you’d want (with support for Markdown if that’s your thing), though we are talking about pretty basic functionality here. Don’t expect a Microsoft Onenote or a similarly fully featured service. Next Can Microsoft's Surface Go unseat Apple's iPad?